Tyler FC Sponsored player of the month! Today we bring you our first ever player of the month! Tyler FC player of the month is sponsored by Soccer Innovations, helping Tyler FC excel providing elite training equipment. 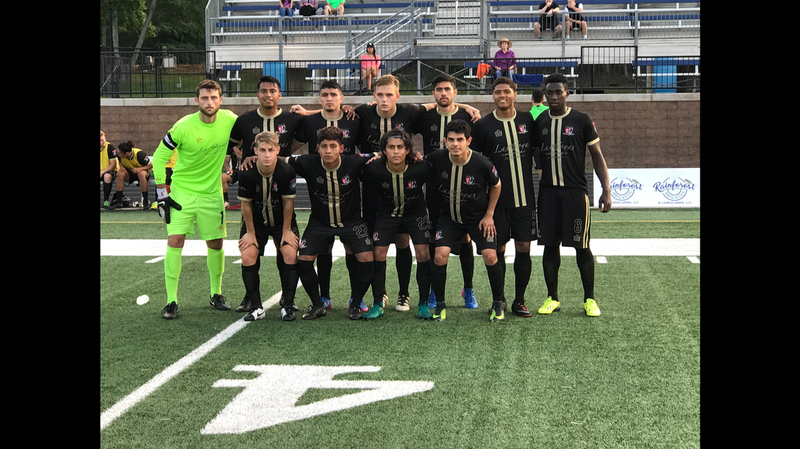 The month of May was a real eye opener for the Kings as they began their first season ever in the National Premier Soccer League (NPSL). During the month of May TFC had 3 games and picked up a total of 2 points with monthly record of 0-2-1. Out of the 3 games in May we found 17 year old player Sergio Gonzalez making an appearance in all 3 games that Month. His first two games were vs the Fort Worth Vaqueros where he played 15 minutes and vs the Houston Regals were he also played 15 minutes. "Sergio has been our most consistent attacker... Sergio is usually the first one to arrive to training and he lives further away than most guys on the team..." Says President and Head Coach Chris Avila. He also mentions that " Sergio is focused and his work ethic is admirable. I expect big things for Sergio on and off the field because of the person he is." 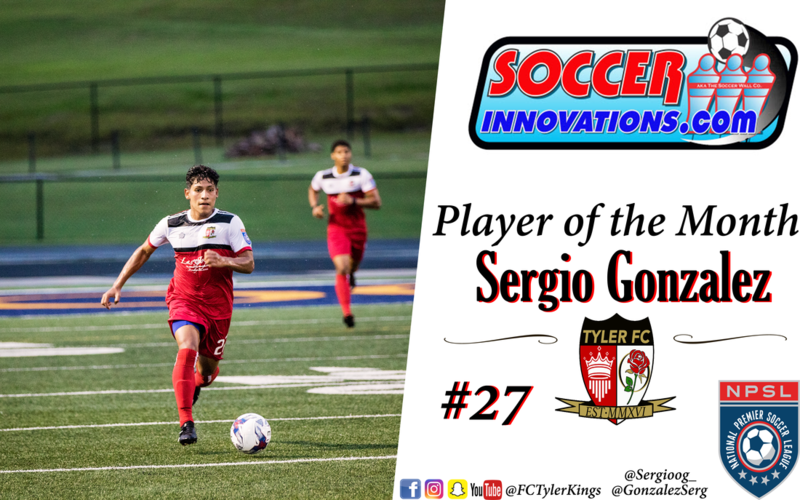 Sergio Gonzalez is a quiet and humble kid who is always ready to play soccer! Lets all congratulate this young soccer star! Thanks for tuning back in with your TFC Kings! ​At halftime the Kings were down 2-0, but were up in possession at 65% and only had 2 shots on goal. Tyler FC made tactical changes during halftime changing some defensive players and formation of the team. The Rafters continued to dominate but It was a rather quiet half for the most part. Substitute defender Nijee Cooper was yellow carded (77) deep in the Kings half. Then in minute 80 The Shreveport Rafters sealed the game by scoring the third and final goal of the game. Questions are being raised from this disappointing results from the Tyler FC Kings. TFC drop down two places and are now in 6th place in the Lonestar Conference. The Kings overall season record stands at 0-2-2. Tyler FC play vs conference powerhouse Midland this Thursday June 8 at The Brook Hill School just south of Tyler, then play vs the Houston Regals in Houston two days later Saturday, June 10. Lots of NPSL action this week for Tyler FC! 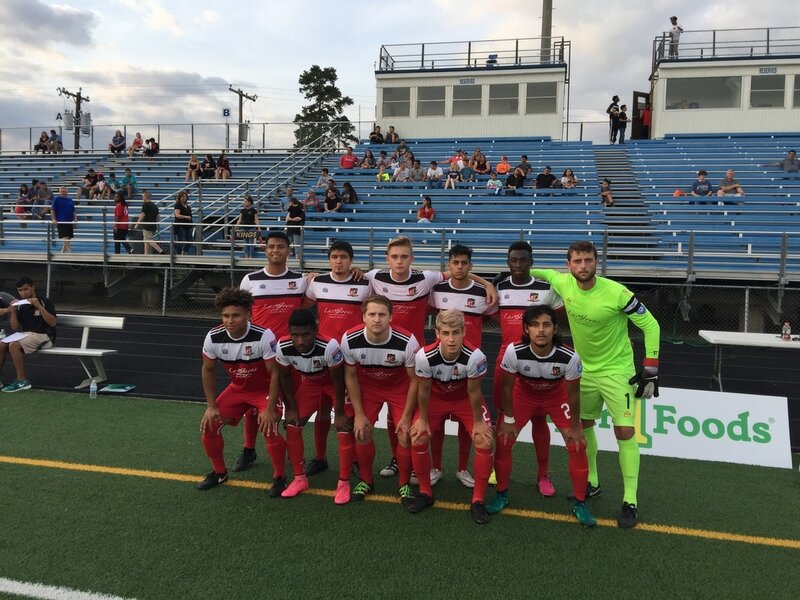 Recap of Tyler FC vs Houston Dutch Lions THRILLER! Hello Tyler FC Kings Fans!! (Bottom Row Left to Right) "Ponchito" , Sergio Gonzalez, "Chikis", Alex Sanchez. Last night Tyler FC played vs the conference champions, The Houston Dutch Lions. This was an action packed game from the beginning! Within the first 20 Minutes TFC striker Tony Bravo found himself 2 shots and 1 shot on target putting the Dutch Lions on their heels. Shortly After Tony Bravo capitalized on a mistake made by the Dutch Lions Goalkeeper putting the Kings up 1-0 for the half, and giving Tony Bravo his first goal, and Tyler FC's first goal in the NPSL for the 2017 season. In the second half Tyler FC found themselves in trouble as Many fouls were called against the TFC Kings. On one of these fouls the Dutch Lions served the ball in from the free kick spot 30 yards out. TFC failed to clear the ball and the Dutch Lions were able tie the game 1-1. Then late into the second half the Dutch Lions were given yet another free kick off of a weak foul called by the ref against Tyler FC midfielder Alfonso "Ponchito" Ochoa. The Dutch Lions served the ball in near post and found a striker that was able to "bicycle kick" the ball past TFC Goalkeeper Erik Mozzo and were now ahead 2-1 putting Tyler FC under some serious pressure. The game started heating up and became very physical toward the end of the game. In the 85' minute and only about 5 minutes remaining in the game the Dutch Lions #8 elbowed TFC Defender Fernando Arellano where the ref immediately Red Carded the Houston side. Fernando Arellano had his right eye cut open therefore he was substituted off and defender Jamal Henry was the replacement. Tyler FC fans were really drawn into the game and began to grow loud as the intensity grew on the field and and the fans showed massive support for their team! With all their support, substitution midfielder Enoch Shipman was able to take advantage of Houston being down a player from the red card. TFC were now in extra time, in the 93' Minute Enoch was able to slot in a goal assisted by player Derrick Krone equalizing the game 2-2! Shortly after the goal the ref blew the whistle and called the game. This thriller of a game had fans on the edge of their seats! Although Tyler FC take 1 point away for the tie they have failed to win a game in the past 3 games putting their record at 0-wins 2-ties and 1-loss. Tyler FC play Shreveport Rafters this Saturday June 3, 7:30pm in Tyler! We hope to have all of our fans there and to keep supporting our Kings of Tyler! 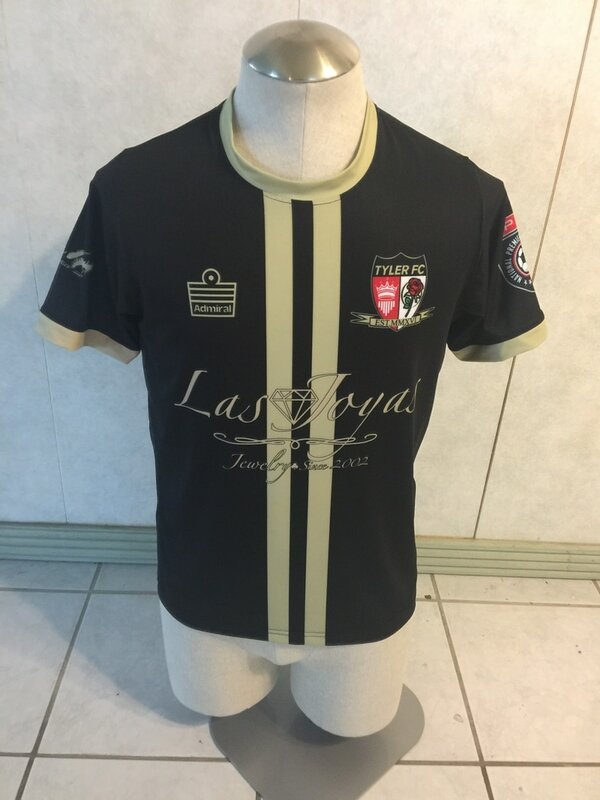 Tyler FC will debut their black uniforms at home! Your TFC Kings are preparing themselves for their huge game tomorrow night May 27, 7:30pm vs the conference champions: The Houston Dutch Lions! The Dutch Lions had a fantastic season last year placing first in the conference and competing in the Regional Final where they fell 4-0 to powerhouse Chattanooga FC. This year the Tyler FC Kings have played 2 games so far, with a record of 0-1-1 leaving them with 1 point over all. The Kings sit 4th in their conference this week and look to pick up another 3 points over the weekend. Tyler FC will be playing at The Brook Hill School Saturday, May 27, at 7:30pm. Brook Hill is a private school with a beautiful stadium located just south of Tyler, Texas. The Kings had nearly 200 enthusiastic fans over the weekend and expect to have more this weekend! This weekend Tyler FC will be debuting their black and gold uniforms! Although the black and gold kit is traditionally the away uniform for TFC, The Dutch Lions will be in their stand out orange uniform that may color clash with the TFC all red home uniforms. We ask all fans that attend to wear all black to support your Kings! Come out this Saturday to support your TFC Kings! 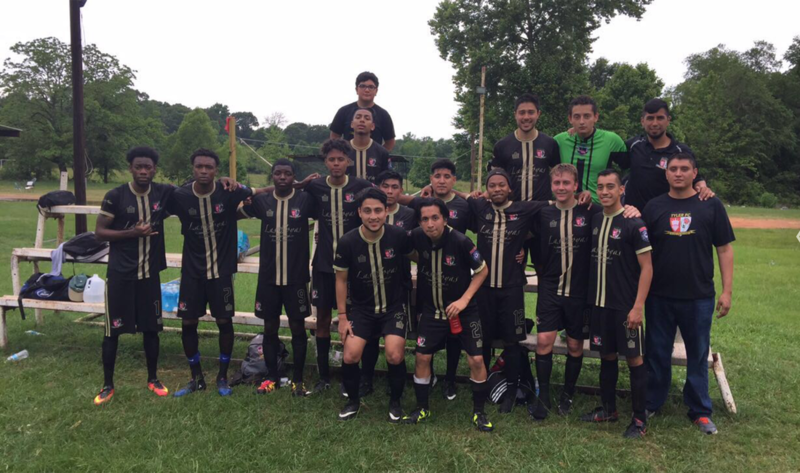 This past Saturday, May 20 TFC Reserve team participated in a local charity tournament held and ran by Emmanuel Gomez from Tyler, Texas. The tournament was a single elimination tournament that was raising funds to support family member Melissa Arroyo who had suffered from heart problems since she was born. Melissa recently had open heart surgery and is expected to have a lengthy recovery. Emmanuel Gomez and his family worked hard to organized a tournament in the city of Tyler to help support his family anyway he could. They had a successful turnout of teams, fans, and support from around East Texas. Melissa Arroyo is stable at the moment and made a short appearance at the tournament this past Saturday. Please help TFC support this family in need with your prayers and support for this local family! 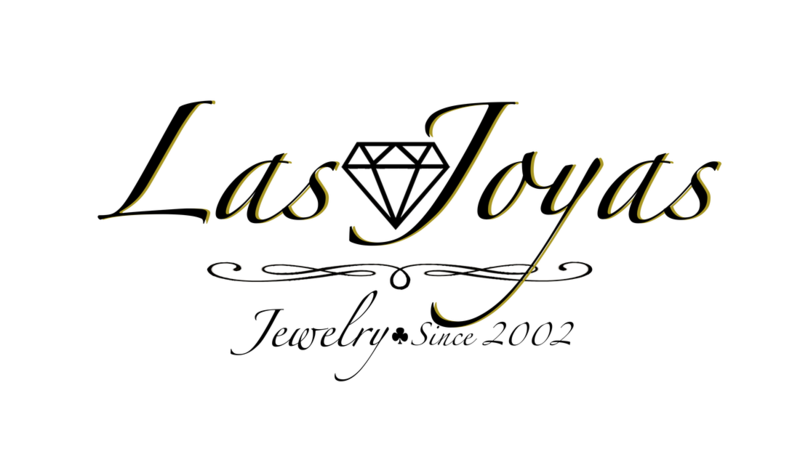 For more information on this charity or to reach out to this family you can contact Emmanuel Gomez at (903) 714-1266. TFC tie the Houston Regals at their first home game. Last night was Tyler Kings first home game ever in the NPSL! Your TFC Kings played vs the Houston Regals last night at the Chapel Hill Stadium. The Starting line up (Photo Above) consists of (Bottom Row Left to Right) Jamal Henry, Nijee Cooper, Riley Alvey, Alfonso Ochoa, Chikis. (Top Row Left to Right) Fernando Arellano, Tony Bravo, RJ Slayer, Gio Sosa, Madi, and Erik Mozzo the Goalkeeper. After a scoreless first half, the Tyler Kings really picked up their game in the second half. Players substituted in to the game were Jimmy Sandoval for Chikis (45') Chikis found himself yellow carded early in the first half off of a fairly weak challenge. Riley Alvey who was also yellow carded was substituted by Enoch Shipman (55'). Left Back Nijee Cooper was replaced by powerhouse Alan Arroyo (60') who is usually found playing center back for the Kings. Striker Tony Bravo who had the most chances for TFC was replaced by player Sergio Herrera. (78') Close to the end of the game Tyler FC began to feel the pressure of the loud crowd and switched formation, TFC threw on another attacker on the field to try to clinch the game in the late minutes. CDM Christophe Madi who had picked up a yellow card in the second half was replaced by 17 year old attacker Sergio Gonzalez (82'). 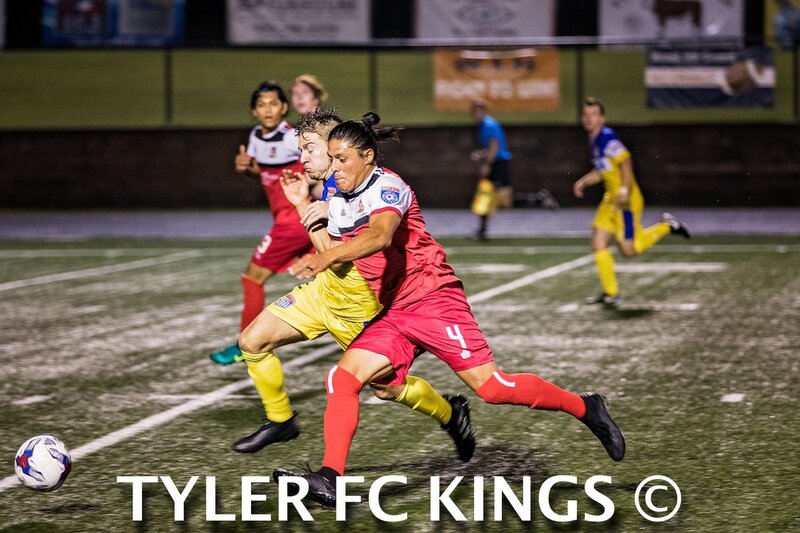 Shortly after the sub the Tyler Kings #10 Giovanni Sosa was Red carded along with Houston Regal Goalkeeper in minute 85 due to a altercation. 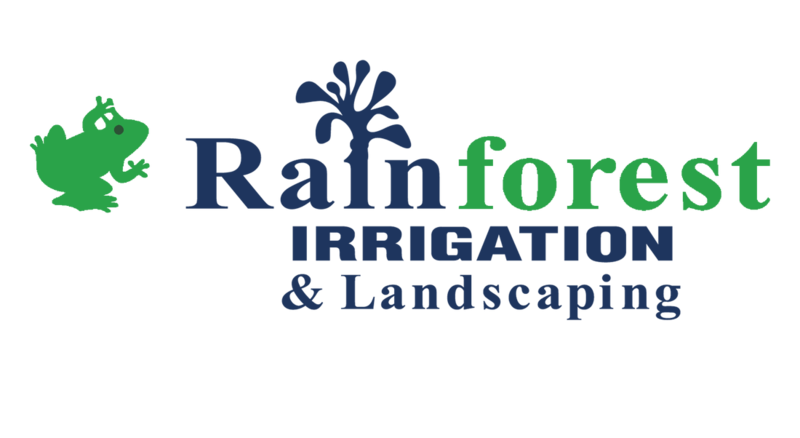 Derrick Krone who was warming up to be substituted in the the game was held back due to Gio's Red card and was eventually substituted in for defender Fernando Arellano (88"). After a tough battle the game ended 0-0. Tyler Kings striker Tony Bravo had 7 shots and put 3 on target. Goalkeeper and Captain Erik Mozzo was forced to make 8 saves throughout the 90 minutes making him the Kings most valuable player of the night! TFC look forward to playing this weekend, May 27, vs the Conference Champions The Houston Dutch Lions. The match last night had approximately 200 people at the stadium and we hope to have more for the game this weekend! 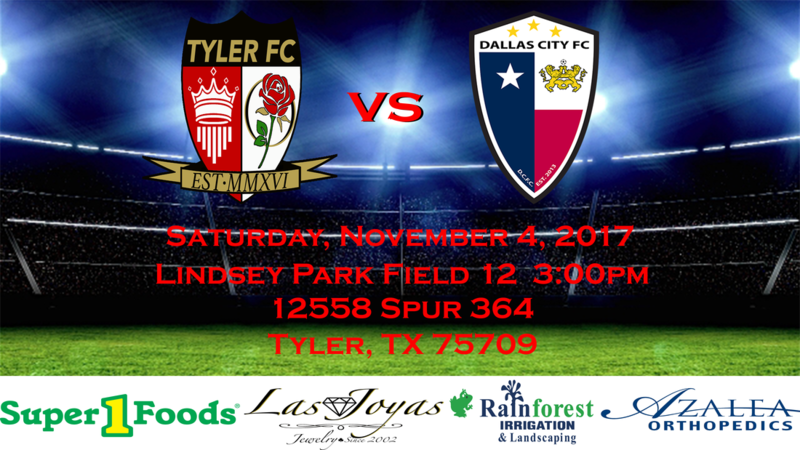 Lets support your Tyler FC Kings!